Bugaboo Math Games For Kids is proud to be a part of Moms With Apps – the first destination that makes finding great kid apps easy. The site, which launches today, has 1000 high quality apps from trustworthy developers and gives parents simple tools to find the right ones for their kids. The Nook Bundle Sale ends today! 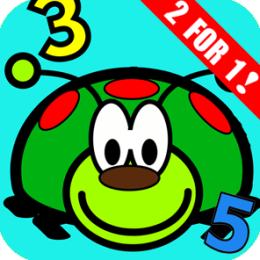 It’s a great time to download 2 of our popular math apps for the price of 1. 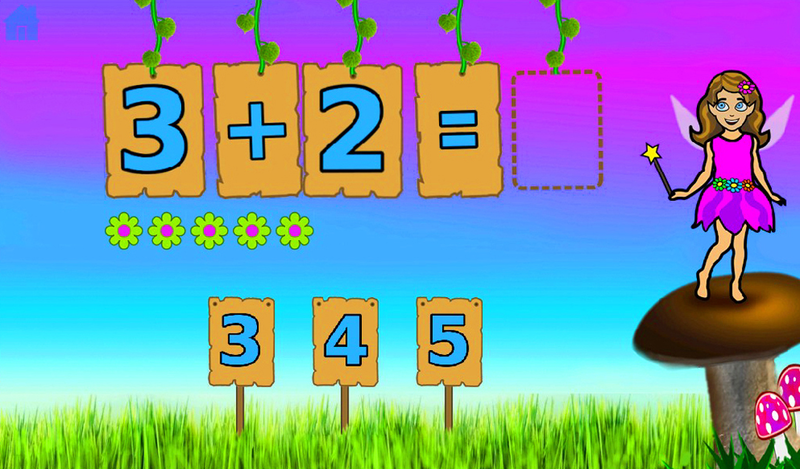 Click Here to download our Math Bugaboo Bundle to start practicing math skills while having fun at the same time! Last week we talked about using math skills to track baseball statistics. We looked at Batting average, Earned run average, and On-base percentage. This week, we will give you a few more ways to have your child become an expert statistician/mathematician! W-L %: When a pitcher’s ERA is discussed, a mention of his record usually follows. Divide the number of games pitched by the total number of decisions. If the pitcher has pitched 19 games and won 16 of them, take 16 / 19 = .842 for his W-L%. Slugging % (SLG): Is your favorite player a power hitter? Find the SLG by taking the total number of bases of all base hits and divide it by the at bat opportunities. Note: the total number of bases means exactly that: a single is one base, a double is two bases, etc. Walks are not included here! If there were 440 at bats, and 282 total bases, the SLG would be 282 / 440 = .641. Challenge: What is the average SLG for your favorite team? Pick a defense position and compare the Fielding AVG for the teams that are on top in the AL or NL. Compare the stats of those teams to find their strengths and weaknesses. Challenge: Which should we use to measure the effectiveness of an offensive player – the batting average or the OBP? Have your child think about what this question is asking…and remember that being a strong offensive player means getting on base, even with a walk, so OBP would be the answer! Practice addition and subtraction with a visual map! Draw out a simple map with various points of interest ( i.e. barn, ice cream stand, playground, pond) and draw intersecting roads that connect some of the points of interest, with a number showing the distance between each point. Have your child give points of interest they want on the map to customize it for them! If you go from the barn, to the pond, then to the ice cream stand, how far have you gone? Have them find the shortest route between two points of interest. Ask them if they would pass a particular place if they were going from one point of interest to another. Fairy Math is 50% off now through Sunday at Amazon! Don’t miss the opportunity to get this preschool app for $.99. Kids learn addition, subtraction, shapes, counting, numbers, matching and more all in a colorful land of fairies! Now through Sunday! Today through Sunday you can download the full version of Butterfly Math for FREE for your nook device. Let the colorful butterflies help with addition, subtraction, multiplication and division practice with 3 difficulty levels to choose from, and fun bonus rounds between levels where you catch butterflies while avoiding the buzzing bees! Find the color that represents the most jelly beans. Find the color that represents the least. How many more jelly beans are there in the color with the most? Then be sure to have your child come up with a few questions for you to answer!